Trump supporters are rallying around a man who says he told baristas his name was “Trump MAGA” and made Starbucks workers yell the phrase in a Washington, DC store. Sebastian Gorka, Trump’s former deputy assistant, tweeted that he loves the story. 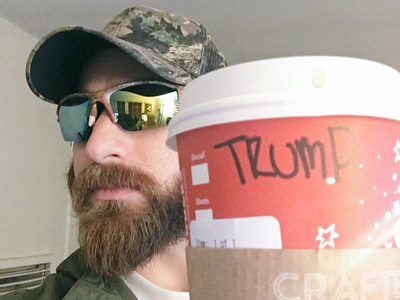 Trump supporters are rallying around a man who told Starbucks baristas his name was “Trump MAGA” – and this is not the first time. “When asked for a name for my cup I said: ‘Trump MAGA,'” Brad Blakeman, a right-wing figure who previously served onGeorge W. Bush’s senior staff, posted on Facebook. 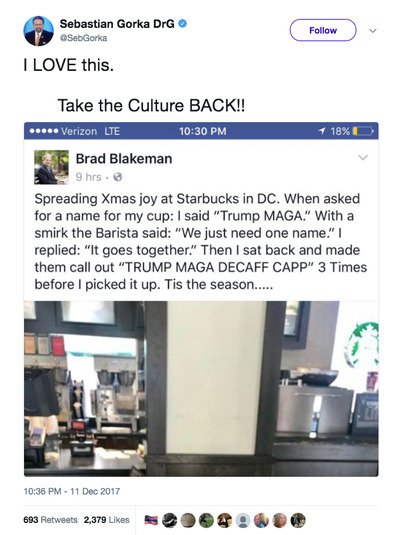 It is unclear if Blakeman seriously did this – he posted a similar story on Facebook in September using an obviously photoshopped picture of a stock photo of a Starbucks cup. Either way, the response to Blakeman’s post has been both earnest and supportive. Many comments on Blakeman’s post and Gorka’s tweet have been similarly supportive, with some people pledging to do the same at their local Starbucks. 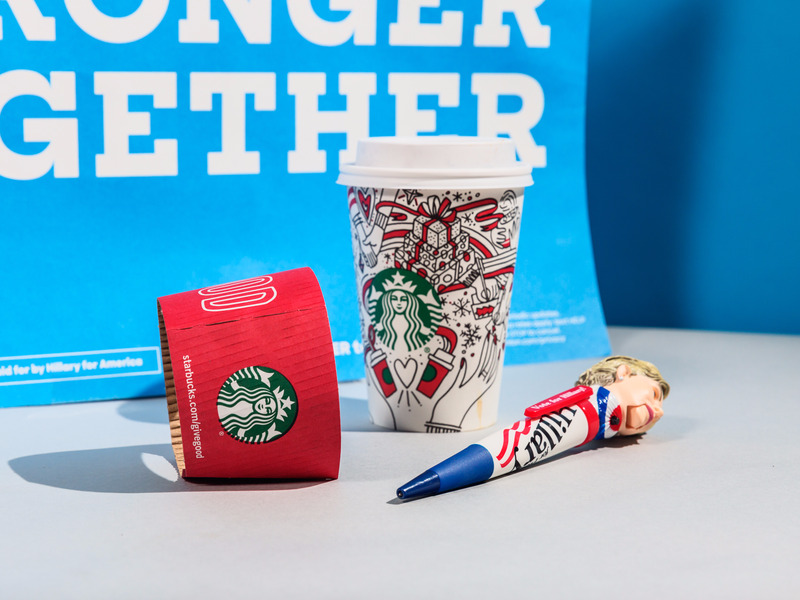 Starbucks has become a magnet for protests from the right, due to the company’s progressive policies on issues such as immigration and gay rights. In February, some customers threatened to boycott the coffee giant after the company spoke out against the executive order barring immigrants from seven majority-Muslim countries from entering the US. Last November, alt-right personality Baked Alaska challenged Trump supporters to complete a similar stunt. According to Baked Alaska, the purpose of asking baristas to write “Trump” on cups is to “trigger SJW” employees (SJW is an abbreviation for social justice warrior, a derogatory term for feminists and progressives). He says that asking to write Trump on the cups is a way to normalize Trump and the alt-right. At the time, Starbucks told Business Insider that the coffee chain does not require employees to write or call out names provided by customers.